EAST TEXAS – As the world enters the Christmas season, many denominations of the Christian faith also enter the season of Advent. But, what exactly is Advent? For more information on the Advent season, which begins on Dec. 3, The Messenger contacted Father Peter McGrath of St. Francis of the Tejas Catholic Church. “When it started, it was an ancient form of preparation for the coming of Jesus Christ. That’s the easy part of it. It is also a time for reflection. It is also a time for forgiveness, which is paramount, and why we use the colors and sacred liturgy to indicate both a time of reflection and forgiveness,” the priest said. The different colors Father Peter referred to are mainly purple, rose and white. The purple candle symbolizes royalty and the sovereignty of Christ. 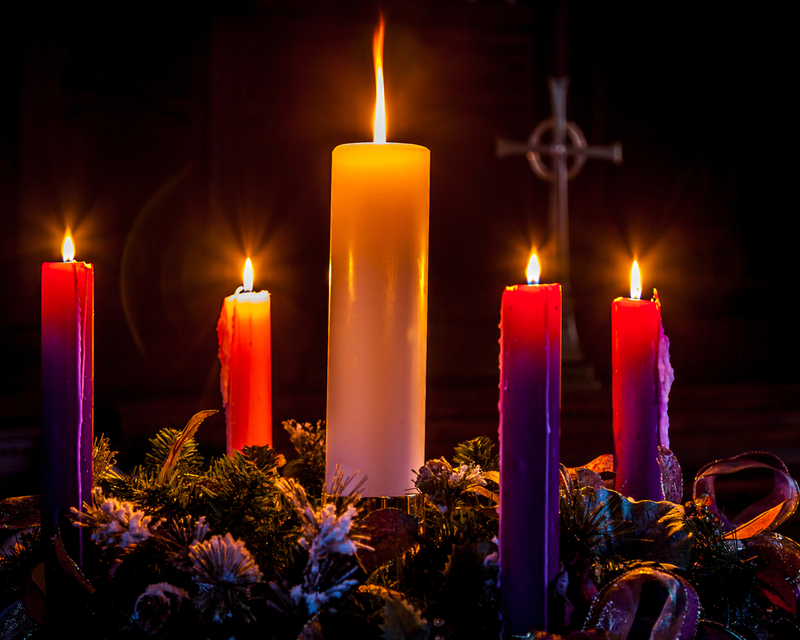 Purple candles are used during the first, second and fourth Sundays of Advent. The rose, or pink, candle is used on the third Sunday represents rejoicing as the season moves away from repentance and towards celebration, he explained. “On that particular Sunday, it is a time of Thanksgiving. It is a Thanksgiving for all the hopes and prayers and also that people were getting through their fast. Back in the 1600s, it was a time of fasting, even more so than Lent. It had a very strict eating format and was followed very closely by the people. That Sunday kind of gave them a break from it. Then, you went back to fasting and it didn’t end until Christmas,” he said. The fifth Advent candle is white and is also referred to as the Christ candle. It represents the purity and light of Jesus Christ. Father Peter reasoned the image people have of Christ is different in different countries. “If you look at a picture of the Holy Family from different countries, you will notice the actual Holy Family scene – whether they are Mexican, Chinese or American – the people reflected in the picture are people of that country. This is a powerful symbol of the understanding of the Catholic faith,” he furthered. “Because Christ is in us and because we are made in the image and likeness of Christ, Jesus Christ – when he came into this world – he came into it for all people and not just for one group of people,” Father Peter said. “We often ask the question, ‘What does Christ look like?’ Well, Christ looks like you and me because he is you and me. Once you are baptized he is in you. Our duty is then to follow this to the best of our ability,” he expressed. Next articleThat Dog Will Hunt!